On Thursday 7th June, the Bar Professional Training Course (BPTC) hosted the annual qualifying session Dinner to mark the end of the BPTC calendar. 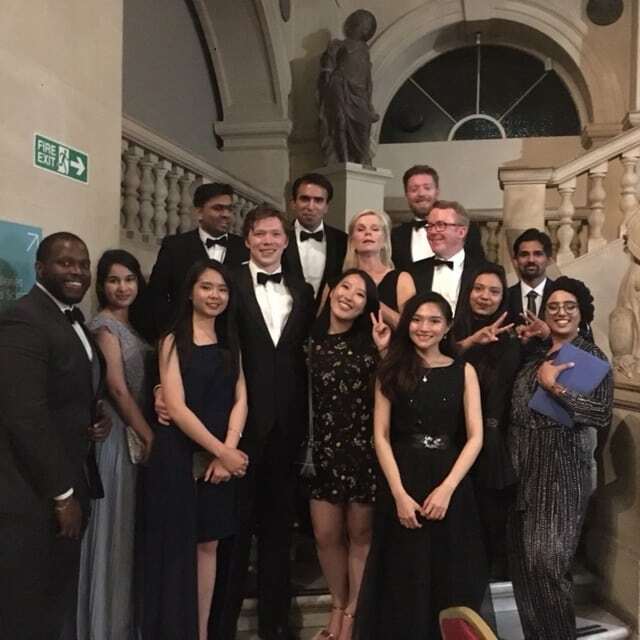 Guests included The Hon Mr Justice Warby ( a High Court Judge), Vice Treasurer Gray’s Inn, William Clegg QC, Donna Whitehead and a number of other members of the Judiciary, Inns, Local Bar and Faculty staff. The atmosphere was formal and yet jolly with the students pleased and relieved to have completed their intensive academic program. Speeches were from Anna Vigars QC (Head of Guildhall Chambers, Bristol) who offered the students inspiring words of wisdom and from David Forster, BPTC student who offered his amusing and inclusive reflections on the BPTC year. Both speakers were very well received by the audience. 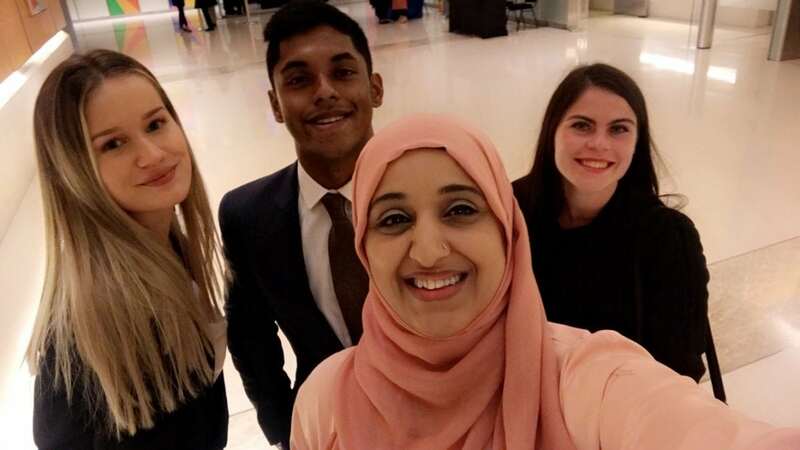 Students and some guests continued their celebrations at the after dinner party hosted by the students at the Square Bar. 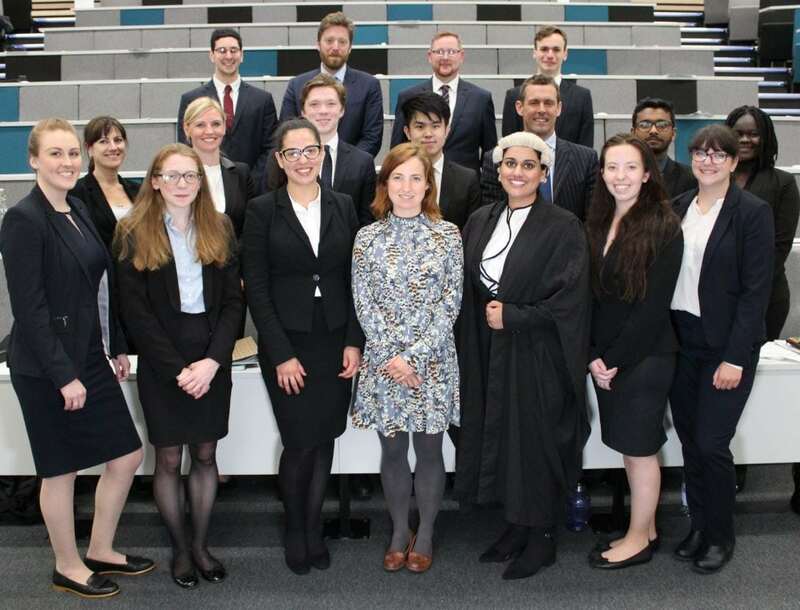 On Thursday 24 May and Friday 25 May, students on our Bar Professional Training Course (BPTC) acted as counsel for the prosecution and defence in a two-day mock murder trial on Frenchay campus. The mock trial was based on the plot of the award winning novel Infinite Sky by CJ Flood. Infinite Sky, a story about a teenage girl trying to come to terms with the abandonment of her mother when a family of gypsies set up an illegal camp in the paddock by her house, contains a violent death. It is this violent death that was explored in the mock trial. 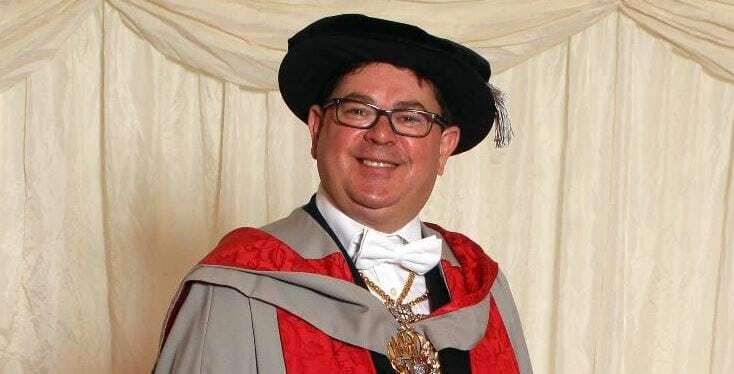 His Honour Judge Johnson, a Circuit Judge who sits at Isleworth Crown Court, presided over the trial and the witnesses were played by a combination of professional actors, together with amateur actors from UWE Bristol’s Drama School, Law School and a local high school. CJ Flood, the author, also attended the trial to find out the verdict for for the characters she had created. Read her account of the trial on her blog. Members of the BPTC teaching team acted as ushers, jury bailiffs and court clerks, whilst the jury was made up of students. 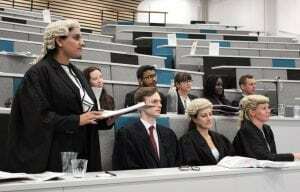 The mock trial was open to members of the public as well as staff and students. After all the witnesses had been cross examined and re-examined, the two day trial culminated in closing speeches from both sides before the jury went out to make their decision. Returning after an hour or so, they found the defendant not guilty of murder. The trial was an incredible learning experience for our students and gave them the opportunity experience first hand what a real trial would be like. Thank you to everyone involved who helped bring Infinite Sky to life for the purpose of the trial and a massive thank you to CJ Flood for agreeing to let us host the trial. 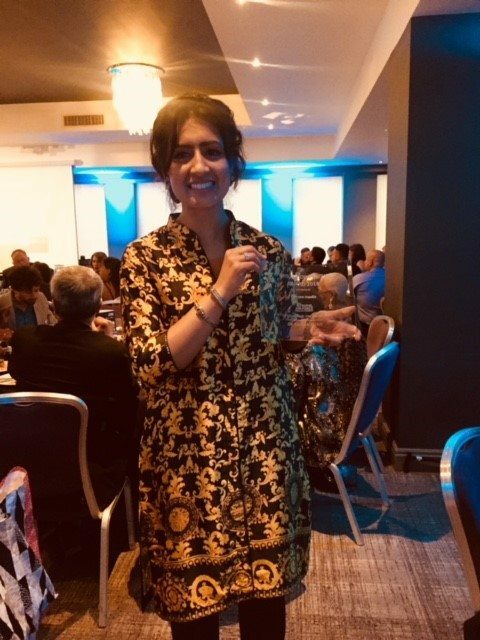 Dr Zainab Khan picked up the award for Positive Role Model (Race / Ethnicity) at the 2nd Bristol Diversity Awards event on Saturday 18th May at the Mercure Holland Hotel & Spa. 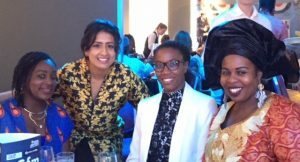 Zainab was nominated for her work on the UWE Bristol Equity Programme. 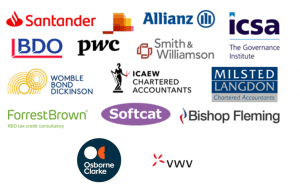 Equity is a positive-action talent development programme aiming to improve BAME graduate outcomes through identity coaching, enterprise education and large networking events. 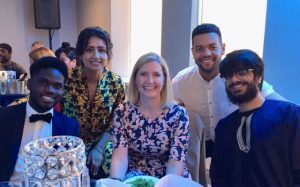 Attending the awards were Equity student committee members, Donna Whitehead (Executive Dean & Pro Vice Chancellor), Dr Harriet Shortt (Associate Professor Bristol Business School), Mena Fombo (Motivational Speaker and Equity Programme Coach) and Alex Mormoris, former colleague and key member of the Equity Programme staff. Congratulations to Zainab and the Equity team on this impressive achievement.